New Delhi: In the 2nd edition of Make in Odisha, the state has claimed to have attracted 4.19 lakh Crores of investment proposals. However, the ghost of ‘Posco’ is still hunting the state government as many experts have raised question marks on the realization of the proposals. The South Korean Steel major Posco has signed a Memorandum of Understanding with the Odisha Government in 2005 for setting up of a 12 MTPA integrated steel plant in the state. However, the company had to cancel its project after several years of struggling in the land acquisition and mines linkage front. World’s leading steel company Arcellor Mittal had also to cancel its proposal in the state owing to similar reasons. As per the DIPP (Dipartment of Industrial policy and promotion)’s latest report, Odisha’s performance in implementing investment proposals has been dismissal with only 27% of the proposed investment proposals have been materialized till September 2018. In the second edition of Make in Odisha, the state has claimed that it has received about Rs. 4.19 lakh Crores of investment. 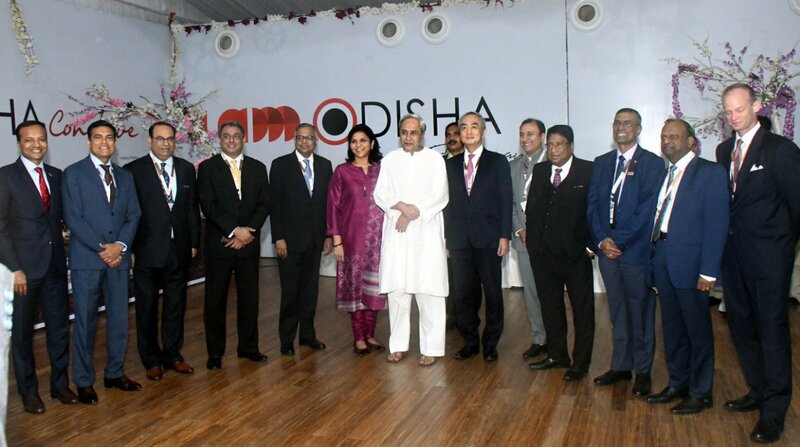 “The total investment intents received by the state are to the tune of Rs 4,19,574 crore in the 15 diversified sectors with the potential to generate 5.91 lakh additional jobs for the people of Odisha,” Odisha Chief Minister Naveen Pattnaik said. He said that the State Government will extend all necessary support and is committed to ensuring grounding of the investment proposals received at the event before the next summit in 2020. The second edition of the state’s flagship summit received 183 investment proposals. The top five investors who have proposed to set up their units included: Haldia Petrochemicals (Rs 70,000 crore), JSPL (Rs 60,950 crore) for its expansion of steel plant to 20 mtpa at Angul, Mahanadi Coalfileds Ltd proposed to invest Rs 58,997 crore in mining sector and a company from Taiwan proposed to pump in Rs 43,000 crore in petrochemical and chemicals sector, said industries secretary Sanjiv Chopra. Steel Authority of India (SAIL) has also proposed to expand its Rourkela steel plant with an investment of Rs 41,400 crore. The conclave also received foreign direct investment from four countries including the Taiwan company. It received a proposal from Dutch-based company for logistic and infrastructure, food processing from a Thailand-based company and Japan. There were 53 proposals in minerals, metals and downstream industries having a total investment intent of Rs 1,88,635 crore. Besides, 6 proposals were received in industrial parks and 12 proposals in logistics sector. The next edition of the “Make in Odisha” will be held during 30November to 4 December , 2020. In the first MIO in 2016, the State had received Rs 2.03 lakh crore of investment intents.